Hand-Held Power Meter: A lightweight and portable lab grade power meter with a built-in frequency counter. This instrument is ideal for field-testing or laboratory use. Perform 100kHz to 2.6GHz CW power measurements over an 80dB dynamic range while the calibrator automatically performs background calibration. 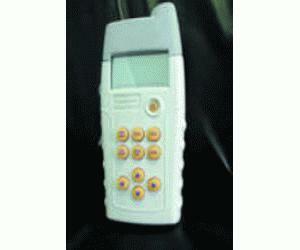 The meter also includes a frequency counter and the ability to download data to a PC via RS232 interface.